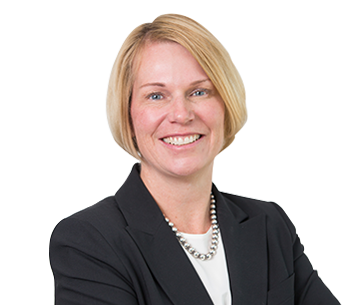 Mylène Tiessen’s civil litigation practice focuses on commercial litigation and professional liability. She represents corporate and individual clients. Her practice also includes administrative proceedings defending individuals before independent tribunals and acting as counsel to tribunals. Mylène articled with Alberta Justice and practised civil litigation at a major National law firm before joining Peacock Linder Halt & Mack LLP in 2008. Prior to her career in law, Mylène was a nurse, working in pediatric intensive care. Mylène has defended individuals who are the subject of regulatory and enforcement proceedings before the Alberta Securities Commission, the Alberta Insurance Council, the Law Society of Alberta and the Alberta Dental Association and College. Mylène routinely acts as counsel to administrative tribunals, advising on all aspects of the hearing process. She has extensive experience defending claims against professionals including, insurance brokers, lawyers, dentists and nurses. Mylène acted for the Calgary Health Region and Alberta Health Services as in-house litigation counsel. Her role included instructing and assisting external counsel in the defence and prosecution of actions involving CHR/AHS and its employees, and providing advice and litigation support to front-line healthcare providers, administrative personnel and senior executives . She represents plaintiffs and defendants in a variety of commercial disputes including derivative actions, oppression claims, shareholder disputes, claims of fraud and contractual breaches. Mylène acts for some of Canada’s largest insurance companies – defending insured claims involving construction losses and director’s and officer’s liability. She also provides coverage opinions and advances subrogation claims on behalf of insurers.